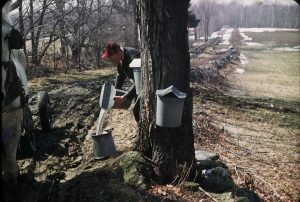 By purchasing pure Vermont maple syrup you are supporting small family farms. Brown Family Farm is a Vermont-based purveyor of sweet maple delights. The “secret” ingredient in every product is the same: authentic, fresh Vermont maple syrup and nothing else. Working exclusively with independent Vermont farmers, Brown Family Farm uses only pure Vermont maple syrup prepared in small batches. 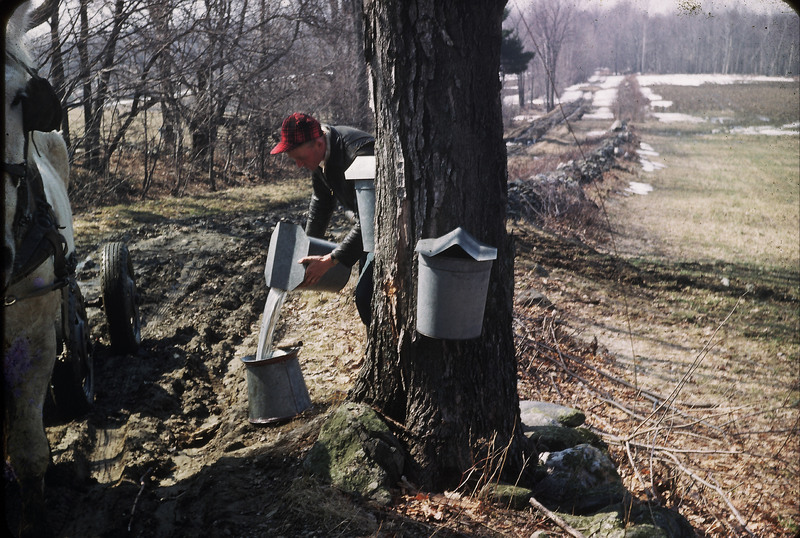 By purchasing Vermont maple syrup, you are helping to preserve forestland as well as a rural way of life. Brown Family Farm is the “little sister” and the specialty division of Coombs Family Farms. Since 1840 and through seven generations, Coombs Family Farms has been producing pure and organic maple syrup and other pure maple products. Today, Brown Family Farm continues to turn the Vermont delicacy into culinary delights. Brown Family Farm maple products include three grades of maple syrup, maple candy, maple butter, maple sugar, pancake mix, and a wide variety of gift packs. But Brown Family Farm products don’t just taste great. With the help of good friend and artist Warren Kimble, they also look great—on your own table or as the perfect host or hostess gift. Bring the authentic look and flavor of Vermont right to your kitchen table. Warren Kimble is one of “America’s best-loved contemporary folk artists.” His Vermont-themed artwork has graced our Brown Family Farm packaging for many years. Warren’s original paintings have been the subject of one-person gallery shows in New York, Boston, and in towns throughout Vermont. His love of Americana, antiques and collectibles, architecture, and painting has created an accessible, universally appealing new style of American Folk Art. We believe family farming is a way of life that should be honored and protected. Over the years, we’ve joined with other independent family farms like Coombs Family Farm and Bascom Family Farm who support this belief. Together we have tended maple forests and produced pure maple syrup for over seven generations.